Happy December and happy holiday season everyone. We wanted to let you know, Laura will be out of reach December 15 – January 3, but don’t worry! Becca will be checking her messages/emails. We wanted to remind you that we have a monthly newsletter now. We have been putting a link to it on our Facebook page, and you can subscribe to our monthly newsletter by emailing Becca: rebecca at comboplatebooking dot com. Please subscribe if you haven’t yet – we would love to share our monthly news with you! This month’s volunteer musician is the Lost & Nameless Orchestra -we can wait to have them perform for our last concert of 2012. Thanks for volunteering! ComboPlate Booking is now a proud member of the KUT Business Circle. We were happy to make a business donation last month to our local radio station which is so supportive of our roster. Thank you KUT for being so great! Late in October we launched a monthly newsletter – you can still view it on our facebook page, and you should be able to subscribe there as well. If you did not receive it and would like to, please email Becca, and she will add you to mailing list (rebecca at comboplatebooking dot com). The next newsletter will come out for December. For November – Matt The Electrician tours Japan/Austin/Houston, Michael Fracasso in Oklahoma, Beaver Nelson in Austin, Nathan Hamilton in Austin/Fort Worth, Nels Andrews in New York/California, and Birds of Chicago in the east coast/mid-west/California and places in between. Laura & John will be hosting their first house concert ever on November 11th. The guest is The Sea, The Sea. 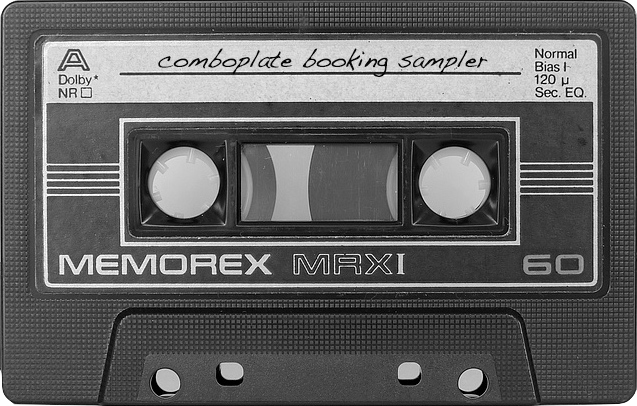 Email Laura for more information – laura at comboplatebooking dot com. November’s musical volunteer at the Kitchen Concert at Caritas is Alyse Black. Thank you Alyse for volunteering when you are six months pregnant! We are excited to host you. Nels Andrews tours Colorado, Birds of Chicago tour all over the US….Michael, Matt, Nathan, Beaver & Moonlight Towers all play in Texas. Please check artists’ web sites for more information. This month’s Kitchen Concert volunteers are Taylor Baker joined by her friend Mariclaire Gamble – thanks to both for being our October volunteers, we can’t wait! Matt The Electrician heads west once again – he will be touring in Alaska, Washington, Oregon, California – check out his web site for more details. Birds of Chicago stay busy with festivals including Strawberry Music Festival, Pickamania and the American River Music Festival…they also begin their epic tour with Sean Hayes at the end of the month – all dates on their site. Michael Fracasso stays busy playing in Gruene, San Antonio & Austin – details here. Nathan Hamilton tours to Japan as an ambassador of Austin music in late September, information here. Everyone is busy – check out all individual artist sites as always. This month’s Friday Kitchen Concert volunteers are the talented Kacy Crowley & Amanda Cevallos. Thanks for volunteering – we are so grateful! Beaver Nelson continues to get great press on Macro Micro, check it out here. While you’re on his web site, be sure to check out his second Macro Micro tour of the summer – OK, MO, IA, IL, WI, OH, NY, NC – here he comes! Birds of Chicago continue their busy schedule with festival dates and concerts all over the country – check it out. Hello ATX….Matt The Electrician returns to Threadgills on August 3rd – and Michael Fracasso plays the Continental on August 22. Hope to see you at both! Nels Andrews tours with his good friends Danny Schmidt and Carrie Elkin at the end of the month, dates here. And stay tuned, he will launch a kickstarter campaign for his new release very soon…. Check out everyone’s individual tour schedules – summer continues to be busy and this makes us very happy. Our good friends The Better Halves will be the volunteer musicians at the Kitchen Concert at Caritas. Thanks for volunteering Jim & Chrissie! Matt The Electrician tours from California to Canada to Texas to Minnesota to Kentucky to West Texas and more – check out his tour here. Don’t forget your vitamin C, Matt! Beaver Nelson takes his projector and Macro Micro on the road through the South – tour dates can be found on his site. Go get a copy if you don’t have one already! Michael Fracasso returns to Woody Fest on July 13th – he’s happy to celebrate Woody’s 100th with so many friends in Okemah. There are lots more local dates and tour dates on each artist’s site – check out each artist as there are too many dates to mention here. And that’s a good thing! This month’s Friday Kitchen Concert volunteer is Deann Rene – we are excited to host her as she plays a very special concert for the clients at Caritas. Thanks for volunteering Deann! Beaver Nelson releases his long awaited “Macro Micro” CD & DVD month – check out a video from the DVD here. Check his web site for summer tour dates – still being confirmed was we write this! Michael Fracasso & Nels Andrews are showcasing at the New Music Seminar in NYC – we wish them both big success during the music festival! This month’s Friday Kitchen Concert volunteer at Caritas will be Owen Temple. Thanks Owen for being so eager to volunteer! Happy spring! May is the kick off to festival season, and we are excited to announce that five artists from the roster will be playing the Kerrville Folk Festival this year: Nathan Hamilton, Nels Andrews, A.J. Roach, Birds Of Chicago, Matt The Electrician. Hope to see you at the ranch! In addition to Kerrville, roster artists will be playing these fine festivals this year: Strawberry Music Festival, DelFest, Joshua Tree Roots Music Festival, American River Music Festival, High Sierra Music Festival, Northern Lights Festival Boreal, Hillside Music Festival, Pickamania, RiverSong Festival, Storyhill Fest, Thirsty Ear Festival and several summer music series as well. Jean Synodinos will be this month’s Friday Kitchen Concert volunteer at the Caritas Community Kitchen. Thanks Jean for volunteering, we are looking forward to it! A BIG THANK YOU to everyone for supporting our annual benefit & fundraiser for the Community Kitchen at Caritas. With all of your support, we raised over $2600! All of you are awesome! Thank you, thank you, thank YOU!!! This month’s volunteer for the Friday Kitchen Concert @ Caritas of Austin is Mike June. Thanks Mike for volunteering! Please help us welcome Birds Of Chicago (JT Nero & Allison Russell) and Po’ Girl to the roster… we couldn’t be more pleased! Don’t forget – you can make a donation to our annual fundraiser for Caritas online as well: www.firstgiving.com/southbysoupfest. Having the online page allows us to double our efforts so thank you everyone who donates online! We also want to take the time to thank all of the local businesses who have donated the raffle prizes this year: Gueros Taco Bar, Opal Divines, Iguana Grill, Hoboken Pie, Satellite Bistro, El Alma Cafe y Cantina, Botticelli’s, Frank, Johnson’s Backyard Garden, Chuy’s, Frank, Apothecary Cafe & Wine Bar, House Wine, Opa Coffee & Wine Bar, Contigo, The Soup Peddler… and more to come. Looking ahead, the ComboPlate Booking Roster Party & South By Soup Fest Beneift is scheduled for Wednesday, March 14th at Gueros Taco Bar once again. Thank you to Gueros for being so good to us! As usual, a private SXSF showcase is being scheduled for the clients of the soup kitchen as well. It’s going to be busy, busy, busy! This month’s Friday Kitchen Concert volunteer at Caritas is Rebecca Loebe. Rebecca is fresh out of the studio and we are thankful she has made the time to volunteer. We can’t wait! HAPPY NEW YEAR from Laura & the roster! Thank you all for the constant support. It keeps us going! This month’s Friday Kitchen Concert Volunteers are Joe Sundell & Melissa Carper – we are happy to kick off the year with such talented and generous musicians!